A French Manicure never goes out of fashion but sometime a girl's got to mix it up a bit. Pink is a girl's best friend, you can't go wrong with this classic shade combined with a French Manicure design and a bold stiletto shape. Long-lasting, smudge-free & chip-free finish, these nails can be filled into any shape. Super-flex technology for more comfortable wear. Will give fantastic results for up to 10 days, when applied correctly. 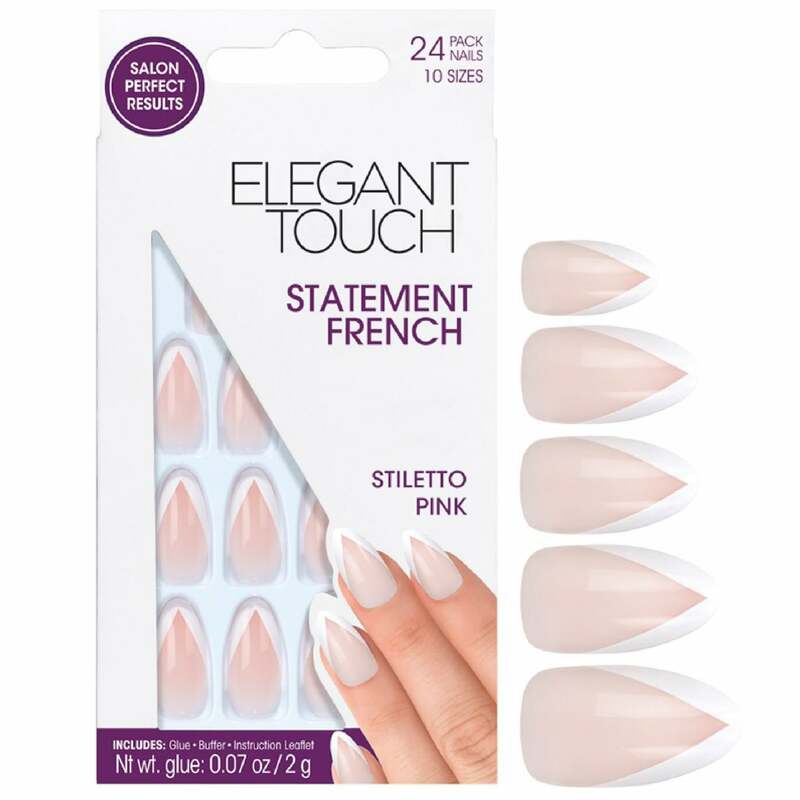 If you're looking to change your press-on nails more often try "Elegant Touch Super Adhesive Tabs". Pro tips.. Try Nail Guards for fast & easy peel-off removal, with no lasting damage to your natural nails! Elegant Touch Brand supply a high quality line of useful tools & accessories that enhance, protect & look after your nails. With removers that take off false nails & brilliantly designed designer nails. Long-lasting, smudge-free & chip-free finish, these Elegant touch nails can be filed into any shape.